I love making something from scratch. 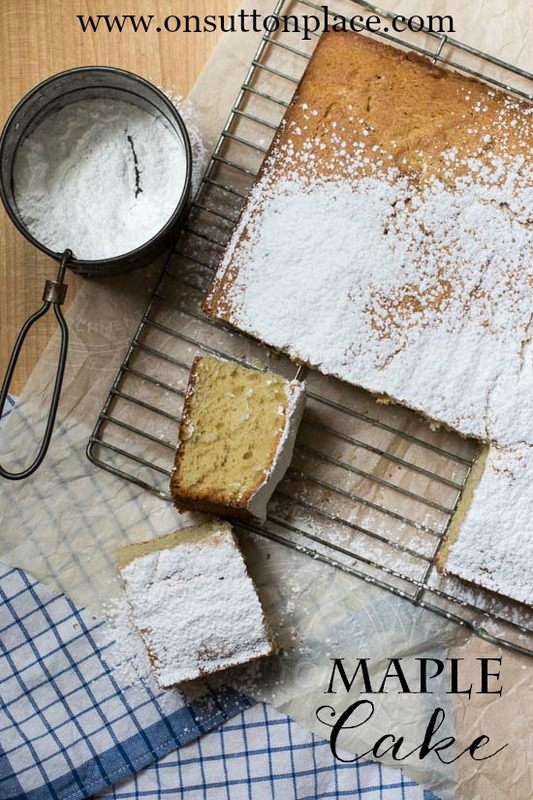 Even though I take a lot of short cuts when cooking or baking, and many of my recipes are semi-homemade, a dessert like this Maple Cake is best made from scratch. There is something about using fresh ingredients and putting it all together that is so satisfying. Sometimes a recipe is just as easy and quick from scratch as it would be if you took a short cut. I suppose you could use a yellow cake mix to make this Maple Cake but I honestly don’t think it would save you any time. It’s super easy and so good. Combine flour, baking powder, baking soda and salt in a large bowl. Whisk to combine. In the bowl of a standing mixer put the softened butter, sugar and maple syrup. Add eggs one at a time mixing well in between additions. Add flour mixture in 3 batches to the butter/sugar mixture alternating with sour cream, beginning and ending with the flour mixture. Combine well and scrape the bowl after each addition. Put batter in a prepared 9 x 9 baking pan. Bake 40 to 45 minutes until a knife inserted in center of cake comes out clean. 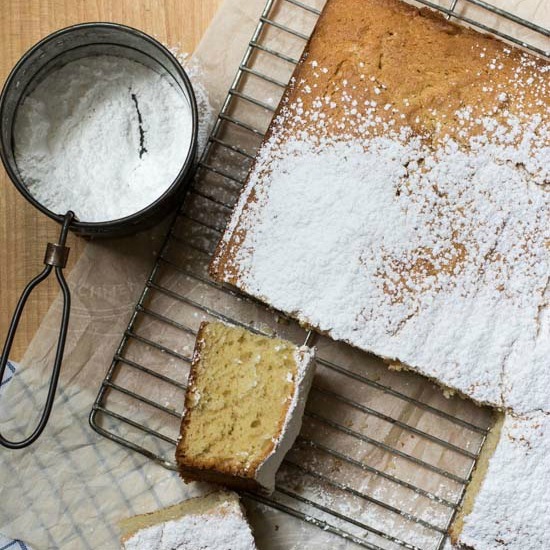 To serve: Dust with powdered sugar or add a dollop of whipped cream to each piece. If you don’t have a 9 x 9 baking pan you can use a muffin tin or even bread pans. The rule of thumb I follow when filling a baking dish is to go about half way up the side of the pan. I opted for my go-to cake topping of a sprinkling of powdered sugar. 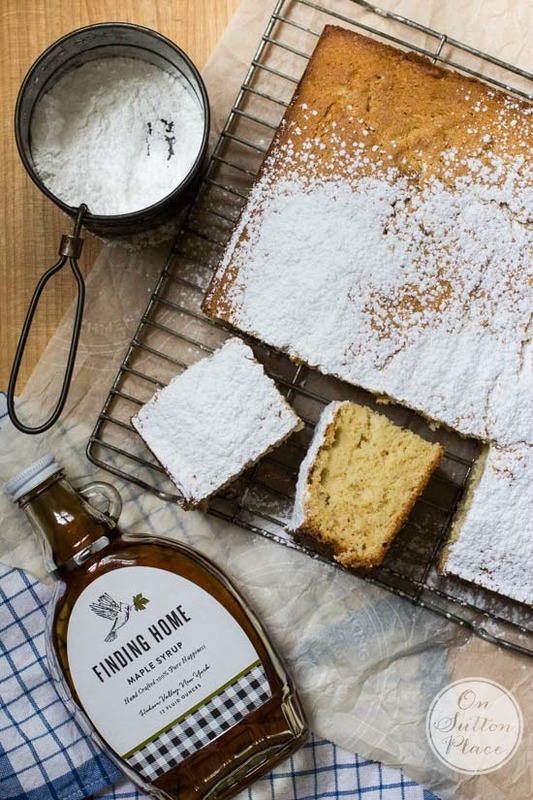 You could also make a powdered sugar glaze and add a little maple syrup…or you could just drizzle maple syrup right from the bottle. Honestly, they are all great options! 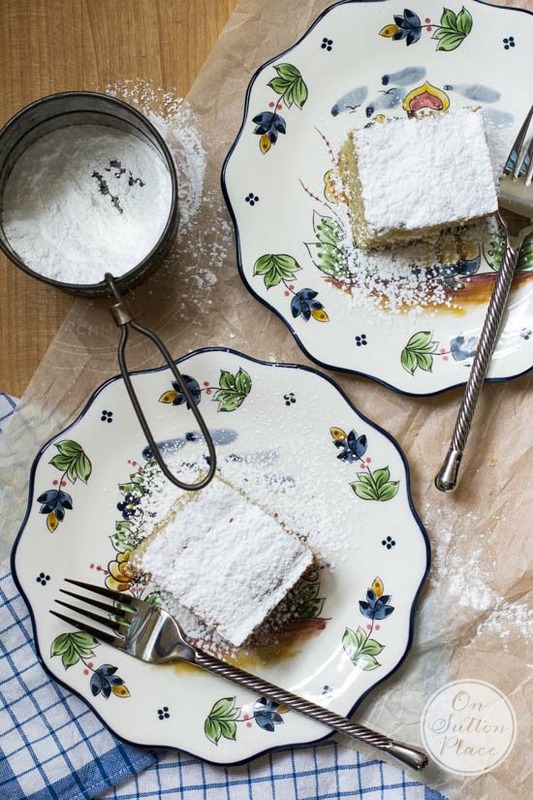 When I decided to try this Maple Cake recipe, I already knew where I was going to get the maple syrup. I’ve followed the blog Finding Home for a while, but as a blogger I don’t have a lot of time to keep up with what everyone is doing. Laura’s posts are ones I rarely miss though…and her family took a leap of faith not long ago and opened their own business. They produce maple syrup and have a lovely online shop. Take a look and if you need some maple syrup, they have the best. 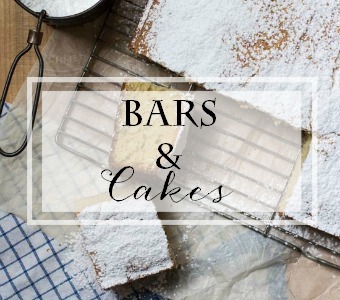 Visit my category archives Bars and Cakes for more inspiration! Another one for me to try! Btw…love these dishes! Scrumptious and so so beautiful! I’m making this for sure!!! 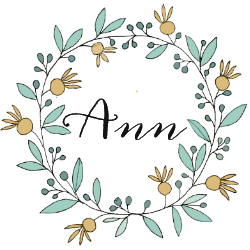 LOVE your images Ann! Not only am I dying to try a piece of that cake, your sweet words have me all choked up. I saw that you had ordered syrup but my husband got the package sent out before I got to drop in a note! Thank you so much for your kindness and support. I literally was in the middle of writing tomorrow’s post about simple acts of kindness when I saw your post come through! Thank you for this, truly, more than you can know! Thanks Ann, i know this will be delicious,all your other recipes have and simple to make. You are the best,hope you had a great weekend. My neighbor sent me the link to your website and I absolutely love it and now I always look forward to your next e-mail! So refreshing and beautifully done. Thank you, Ann. I agree that made for scratch recipes are really the best. I know may people don’t have lots of time, but sometimes it doesn’t really take that long to put a really good recipe from scratch together. I love that Laura’s family was able to start their Maple Syrup business.